In February 2016, The Phillips Collection will reunite all 60 panels of The Migration Series (1940-41) in an exhibition co-organized with the Museum of Modern Art in association with the Schomburg Center for Research in Black Culture. Since the time Duncan Phillips first acquired one half of the series in 1942, Lawrence’s great American epic has stood as a cornerstone of The Phillips Collection. This exhibition builds on the museum’s rich and meaningful history with the artist’s work over the course of decades in exhibitions and international educational initiatives. In conjunction with this project, the Phillips will also launch a lively interactive microsite on Lawrence and The Migration Series. Lawrence ends the series with the words “And the migrants keep coming”—a telling commentary on the series’ enduring poignancy in the twenty-first century. Indeed, Lawrence’s timeless tale and its universal themes of struggle and freedom continue to strike a chord not only in our American experience but also in the international experience of migration around the world. More than seventy-five years after its creation, what meaning does Lawrence’s Migration Series hold for viewers? How can we build on its powerful history while exploring its ongoing relevance in contemporary art and life? What might we learn by positioning The Migration Series alongside parallel developments in music, dance, literature, film, theater, photography and print culture? In short, how can we create a dynamic presentation through a multiplicity of perspectives and interdisciplinary contexts? Click here to learn more about the The Migration Series by Jacob Lawrence. 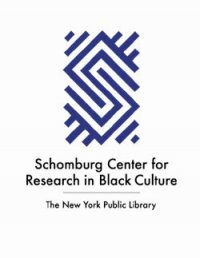 The Schomburg Center for Research in Black Culture located in Harlem, New York is a research unit of The New York Public Library system. It is recognized as one of the leading institutions focusing exclusively on African-American, African Diaspora, and African experiences. Begun with the collections of Arturo Alfonso Schomburg more than 85 years ago, the Schomburg has collected, preserved, and provided access to materials documenting black life—in America and worldwide. 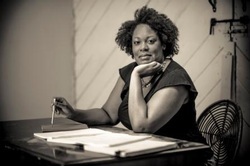 It has also promoted the study and interpretation of the history and culture of peoples of African descent. Today, the Schomburg continues to serve the community not just as a center and a library, but also as a space that encourages lifelong education and exploration.